It's better both for your records and for sound quality to play a record the way the master was made - in a straight line from the edge to the centre. This tangential arm record player did just that, giving a far more precise reading of the signals in the groove. The MMC4 cartridge made a vital contribution too; it was feather-weight, with a stylus pressure of only 1,2 grams, giving outstanding sound quality but minimising wear and tear on your records. There's more protection too - invaluable for all-night parties. The electronically controlled tangential arm was suspended so that it isolated mechanical vibrations from the cartridge. The suspension chassis was also thoroughly engineered to neutralise vibrations. So keep on dancing - the record player can take it! 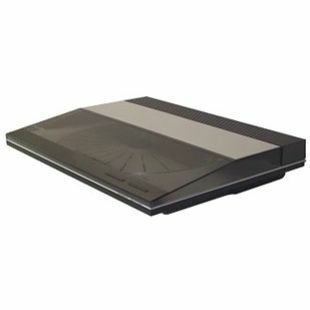 Beogram 3300 was part of Beosystem 3300 although may be used as a stand-alone item. One of many tangential decks all utilising the same basic design, the 3300 was noticeable mainly for its grey finish and slightly lurid graphics. Very much a child of the 80s, it was replaced by the 3500 and 4500. Bang & Olufsen's preferred supplier for brackets and stands, STBbrackets, have made a wall mount solution as a general option for Bang & Olufsen Turntables. Distributed throughout the World by the Bang & Olufsen store network, the STB option adds to the diversity of mounting options and positions available. A universal shelf that will support all Bang & Olufsen turntables from the past 30 years. Including three cable entry points to allow you to bring cables from below the shelf or through the wall.